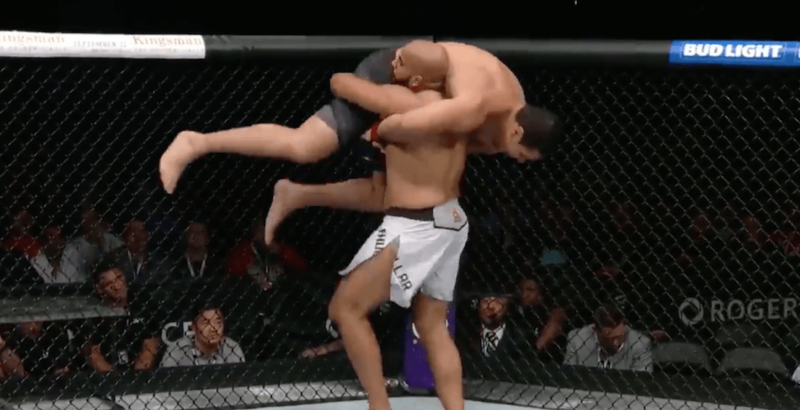 It was a successful UFC debut for Arjan Bhullar. You knew it would be. The former Olympian and Commonwealth Games gold medallist in the sport of freestyle wrestling, the Richmond, BC native can seemingly do anything he puts his mind to. On Saturday, he became the first fighter of South Asian descent to compete in the UFC. The 31-year-old beat Luis Henrique by a unanimous decision at UFC 215 at Rogers Place in Edmonton. It was a fight he says went according to plan. “It was amazing, it’s something that you visualize,” Bhullar told reporters after the fight. “From getting my hands taped, to the actual fight, the walk-in, walk-out. Everything went according to how we foresaw it. The fight went good too. Noticeably absent from the Canadian fighter’s walk-in was Jinder Mahal, the WWE star and friend of Bhullar. Mahal, as it turns out, had a good reason for not showing up as planned. Bhullar is as proud of his heritage as anyone, anywhere. Bhullar spoke at length about who he is and who he represents after the fight. He pridefully says his lineage comes down from the Sikh warriors. The heavyweight fighter wants to make a difference in the world, beyond sport. That’s why he says he plans to wear a turban to the ring for future fights. Given what Bhullar has accomplished already, it would be foolish to bet against him.